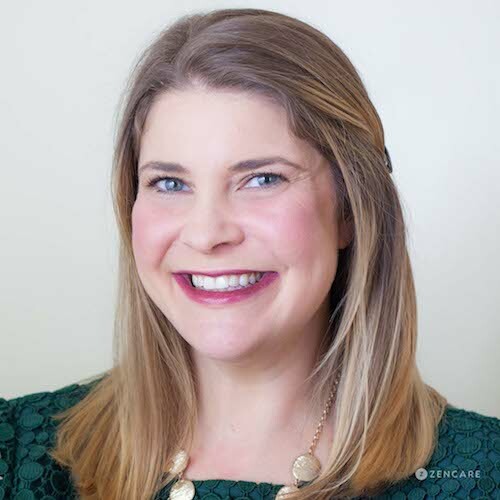 Amanda Vaughn is a Licensed Marriage and Family Therapist in Providence, RI with specialization in infertility concerns, postpartum depression, and perinatal mental health. She also sees teenagers through adults for anxiety, depression, and life transitions. Amanda Vaughn is a Licensed Marriage and Family Therapist in Providence, Rhode Island. She has particular specialization in infertility concerns, postpartum depression, and perinatal mental health. She also sees teenagers through adults for anxiety, depression, and life transitions. She is an interactive therapist who collaborates with clients and offers direct feedback when appropriate to help achieve their goals. Amanda creates a safe space in her practice for new and expecting parents to achieve wellbeing. She guides clients through the physical and emotional challenges that come along with fertility/infertility, IVF, and perinatal mood changes, and helps them access support systems to create an achievable plan for self-care and support. She believes in providing a place for parents at any stage to process their emotions to ease the transition to parenthood. Amanda received her Master of Science in Marriage and Family Therapy from The Family Institute at Northwestern University along with extensive clinical training at The Family Institute’s Bette D. Harris Family and Child Clinic. She is trained in individual, couples, and family therapy. Amanda has also received post-graduate training in Child Parent Psychotherapy, as well as in the assessment and treatment of perinatal mood disorders. Therapist's note: Amanda Vaughn can provide you with paperwork for reimbursement from your insurance company if you are seeking out-of-network sessions. For expecting or new parents: "The transition into parenthood can bring many joys and challenges. The wish to have a baby can be a powerful driving force in a man or woman’s life. Struggles with fertility can lead to depression, anxiety, relationship conflicts, isolation, and physical symptoms. A vicious cycle begins: fertility struggles increase depression and anxiety, and depression and anxiety have been linked to decreased fertility. Postpartum depression is the most common pregnancy complication. When the joy of motherhood is replaced by feelings of sadness, fear, hopelessness and anxiety both mother and baby are at risk. Postpartum depression can interfere with a mother’s ability to take care of and connect with her baby. I have received post-graduate training to diagnose and treat postpartum depression and other perinatal mood disorders. And finally, the journey to parenthood can also involve grief and loss. Miscarriage, still birth, and other complications bring a profound form of heartache. Therapy can ease and address these issues."